Georgia is one of those countries, you may not even be aware of. A state with a vast history and rich cultural traditions in the borderland of the former Soviet-Union, it is the home of Ennui, who play monolithic funeral doom in the most dark and melancholic traditions. Partly untouched by time, the country has one of the lowest crime rates and visitors speak of the friendly reception they’ve had. Yet it also has the scars of the past, proven by the conflicts with Russia . The same goes for most countries in the Caucasus. It’s not known for its metal scene, but it is there and shaping itself in a distincly own way. Ennui has been around since 2012, as it was founded by David Unsaved and Sergei Shengalia. Their latest work is ‘End of the Circle’, out on Non Serviam Records. Thanks to Qabar PR, I got to ask them some questions about this project and the monumental record. First, can you introduce yourselves and how you got together? I understand the name Ennui is an old French word. Can you maybe explain why you chose it and how it has evolved with you through the years? Yes, we are a funeral doom band from Tbilisi, Georgian Republic. Ennui is the band with only two permanent members: me, David Unsaved and Sergei Shengelia. Both of us write music for the band, we always work together on concepts for the songs, etc. We’ve founded Ennui together in 2012. So it happened that we both had ideas for this genre, we both were able to play on all instruments, and we decided to work together. The name of the band came to our mind almost immediately. I had a few propositions on the name, but we settled on Ennui. We liked the meaning of this word, because it perfectly described our spiritual state at the moment. Over time, we put more extensive sense into this word – Ennui is a state of melancholy, spiritual boredom and loss of any kind of vitality. Do you guys play in any other bands or projects? And what bands inspired you to pursue the type of music you make? Yes. Sergei is a veteran of Georgian metal scene. 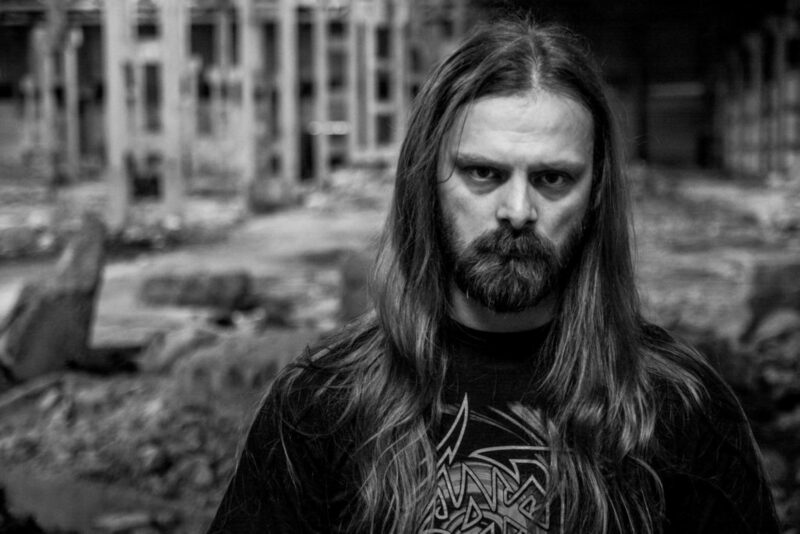 He is a front man of first Georgian technical death metal band Angel of Disease, also he’s guitarist/vocalist of his symphonic black metal band SIGNS. My biography is more modest, but I also have several side-projects in different genres. But none of them are released yet, actually it will happen in nearest future. Bands like Esoteric, Skepticism inspired us to make this music. These two bands were what introduced us to this genre very long time ago. Where you inspired by bands from Georgia to make metal music or did it come from foreign bands? Are there aspects of your home country that shape the way you make the music you do? No. We were never inspired by bands from Georgia. All influences and inspirations came from foreign bands of course. Also, you shall know that there are no other funeral doom metal bands from Georgia. It’s a little bit hard to name any particular aspect of Georgian culture which helped us in making this kind of music. You know, first of all, Georgia is not mentally a ”metal country”, and also Georgian culture has mostly a ”happy” mood in almost all of its forms. 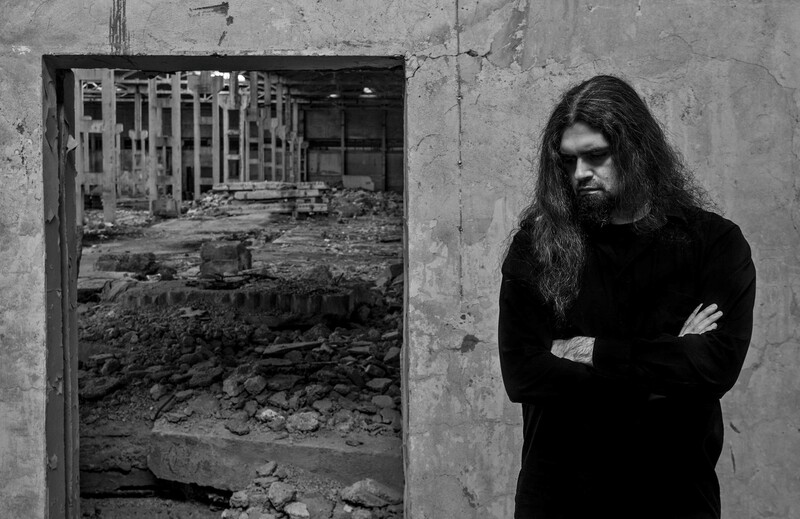 But working on our first album ”Mze Ukunisa” what means ”The Sun of Darkness” in Georgian, we indeed used some elements of Georgian culture, which perfectly suited atmosphere of funeral doom metal. I want to ask you about the album ‘End of the Circle’. What was the creative process like for this record, did you do anything new or different this time and what roles do you both have in the process? The songwriting principle was the same as always – we made individual songs independently from each other. But we’ve certainly changed the recording process as well as whole creative process in this album. Here I mean the whole approach to recording in the studio, getting the highest quality, real and ”warm” tube sound, all analogue equipment. This was first experience like this for Ennui. We’re very satisfied with the final result. I hope listeners will be happy with our new album as well! As I understand it, in the past you’ve often used poetry for the lyrics and inspiration. Can you tell a bit about that and in what way you drew inspiration for ‘End of the Circle’? The poetry of Terenti Graneli (Georgian dramatist and late decadence movement poet) was used as lyrics only for our debut album. After that, all lyrics are written by us. “End of the Circle” is conceptual work, inspired by some philosophical ideas about life and death, about principles of being and unbeing. We just imagined about what if there is some final point of everything? Final point of the endless. The End of the endless circle of life and death. Mostly these ideas inspired us. Your record is in a sense such a huge slab of music, that it could easily be split into multiple releases. In fact, each of the 3 mammoth tracks feels like a separate journey. Was this your initial plan when you set out recording it or did it evolve to this enormous shape? Oh, yes. The whole idea of this album was to write three huge songs with dynamic ups and downs in tempo and unorthodox melodies. First we had a plan to make an album with only two long songs, but later the idea evolved and we decided to split ”The Withering” in two parts to have two song conceptions reflecting each other. For example, the first part of ”The Withering” is about humanity which is lost under the vastness of starlit sky, and ”The Withering Part II” is about the lost and dead stars shining their ghost light upon us. But the title song is about death of whole Universe as it exists in our understanding and imagination. Can you tell a bit about the start of metal in Georgia? How did metal music come to your country in the first place? I guess first heavy metal bands in Georgia were formed in early 80-is. Heavy metal bands like Mtsiri (მწირი), Mekhis Kandakeba (მეხის ქანდაკება), also Heavy Cross (მძიმე ჯვარი). Their music was influenced by heavy metal and hard rock bands from all over the world, some records were rare, but still available to listeners in Soviet Union. 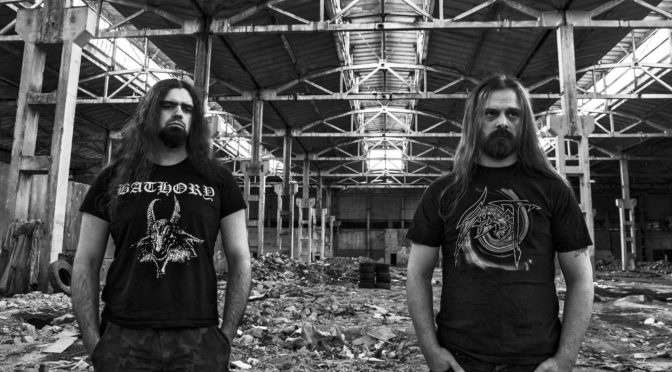 Extreme metal was formed in Georgia much later, in 1990-is. It was influenced mostly by popular metal bands, because Georgia never had access to high-grade information sources about underground metal music. I mean no labels, no metal stores. Usually, records of new foreign bands were passing from hand to hand between metalheads. It was almost impossible to get tapes of rare bands. That’s why metal in Georgia was mostly influenced by mainstream bands from Europe. Nowadays, with development of social networks, metal is more available in Georgia then it was before. Here are some local metal bands, scene is has developed into different genres. Famous metal bands like Sepultura, Napalm Death, Sodom, Vader and many others played shows here. I hope that metal in George will keep progressing and in future will take its own place in Metal World. What is the scene like these days and what bands would you recommend people check out? Please, check out the band Comatose Vigil from Russia, I guarantee you the total desperation. While your music and founding were rooted in sad emotions, you as a band appear to have embraced a positive life attitude in previous interviews I read. How do those two combine? I think that such music does not oblige us to be constantly in a negative mood. And to be more precise, such music helps to get rid of the negative state of mind. It seems to me that you need to be able to treat everything with humor, even if it’s a black humor… Besides, I would not say that we are one of those people who are very open about showing everyone their inner state. Usually, we do not share everything with everyone around, but we channel everything into our music. What future plans do you have for Ennui? I think now it’s time to prepare for future live shows. We need to work more with session musicians and pay more attention to listeners from Europe. If you had to compare the band to a dish, a type of food, what would it be and why? I don’t know, maybe ”Shila Plavi” – this is a kind of Georgian dish made from rice and meat. Usually, here in Georgia this dish is served at a funeral feast in someone’s wake. Anything I forgot that you’d like to add? Well, I guess no! Thank you very much for conversation!